There is a bully in every child. But this remains silent until they find an opportunity to show their skills on someone. For parents, the children are innocent and they can’t believe if their child is a bully. When it comes to why teens become bullies, there are many reasons and we are going to discuss this is detail. The post will also guide parents how they can find if their child is a bully and what measures can be taken further. There are many reasons why a child becomes a bully. We are going to highlight the major reasons and this will help parents take better care of their children and prevent them become bullies. This is the major reason why teens and children become bullies. It has been seen the children with less control of parents become bullies and criminals. Many parents never care about it and they have no concerns with what their children are doing in life. As the parent lose their control over the children and stop giving them proper care, teens become bullies, behave badly and even start taking drugs. If the parents are not careful about their children and the family lives in an area where bullying and drugs are common, there are higher chances a child will become a bully. As the other people in such environment and localities are bullies, they harass and threaten the teens. This affects them badly and when they grow up, the themselves become bullies. With proper care and love, parents can help their children and not turn them into offenders. It has been noticed the kids who see violence around them or face it at the young age become bullies as well. This can be violence at home. Many parents fight with each other over little things and this impacts the children. The kids are thus careless and adopt the fighting habits of their parents. They can never give up such things and continue with them. Many children are bullies when they go to schools and colleges. The senior students who bully new students affect them. A time comes when the bullied children become bullies themselves. This is a serious reason. In order to prevent it, school and college administrations as well as teachers should play the role. There must be laws to punish such students so that new students cannot be bullied and turned into bullies. How Parents Can Know Their Child is a Bully? This is really important for the parents to know if their children are bullies. Here are some traits and signs that show your child is a bully and needs immediate help. You might have seen many children are rude and violent. They misbehave even with their parents and dads. Such children are bullies. They are careless and have become habitual when it comes to treating people badly. They don’t care about what you say and order. For them, the parents are just for their financial supports and need. The friend circle of a child matters very much because it decides who your child is and what he or she will become. Most of the time, boys become bullies. There are fewer girls who at such age tend to be a bully. If your child keeps a bad company where his friends are violent, use drugs, mistreat people and are careless about their study- you should be worried as the child is a bully. The word internet refers to social media and dating sites. It should be noted, many teens become bullies after they bullied on the social and dating sites. They are obsessed with these sites and become bullies. They also bully other peers and juniors on these sites. They spend most of their time on these sites bullying students and juniors. What Parents Should Do About a Bully Child? No parents want their children to be a bully. So parents can provide their children with help and improve their life. Parents should communicate with their kids openly. They should mend their ways, manners and keep them under protection as long as parents they need support. Furthermore, parents should use a parental control app to keep eyes on their children and monitor them. 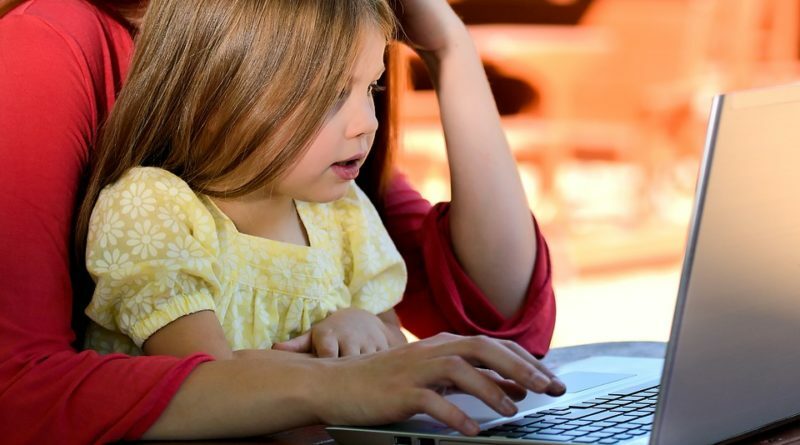 This is the best possible way to check what your child does on the internet and social media. Regular monitoring by parents can make teens show improvements in their behaviour and ditch all such habits that parents find offensive. Lina Jackie is Web Content Writer at BlurSPY. She’s relationship adviser. She spends most of her time browsing dating feature and applications through digital devices. Most recently her focus has shifted towards the Android spy app for the cell phone which is making waves in the technology world today.